I Think I See An Environmental Violation. In response to calls we receive from citizens inquiring about possible environmental violations, we have posted the information most often requested by citizens (shown below) as a community service. Your tax dollars pay for regulatory programs on the county, state, and federal levels that insure our relatively high quality of life. (Whether or not these programs do this effectively is another topic). If you think an environmental violation is in progress, you should avail yourself of these programs, again, because your taxes pay for them (for now). Ask for the “enforcement” division within these agencies. They will need SPECIFIC information including a parcel number (APN), specific location, address, and nature of the violation. They may also request photographs. The more specific the information, the better. Most agencies allow you to report anonymously and/or they may at least need your contact information. With budget cuts, most environmental regulators have far more to do than they can handle so you may need to be patient. EOS will offer up to one hour of free consultations to assist concerned groups and/or citizens regarding these kinds of violations. The information below lists agencies for the Western Nevada County and Central Valley regions only. It is for guidance only. The list of types of violations and agencies is not comprehensive. For possible Water Quality Violations in the Western Nevada County foothills/Central Valley geographic area, including severe erosion/sedimentation into a creek, lake, wetland, or illegal fills, it’s best to contact your County Code Enforcement Office in addition to any other agencies. Click on each agency’s name listed below to go their current website. (Feel free to let us know re. probs w/links). 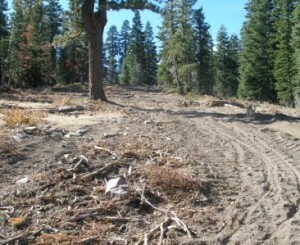 Impacts to CDFW State Protected Species click here. You can also report possible violations to California EPA. EPA Complaint Form click here. It is illegal to hold any wild animal in California in captivity without permits from CDFW/USFWS/NMFS especially if you do not know what you are doing however good your intentions. Wildlife are not pets. If you find an animal and it is fully ambulatory, the best thing is to leave it alone. I get the occasional call from someone who has found a nearly fledged baby bird. If they can hop and even partially fly, leave them alone. For near full fledglings that are just a week or two from flying off, I have fledged baby birds with the help of the parents. (You can try putting the bird back in the nest but my experience is it just ends up out of the nest again–on the ground. It’s instinct is to LEAVE the nest). During the day, I place the baby bird(s)in a baby pool IN THE SHADE as close to where they were found as possible. Baby pools are open enough that the parents can approach the fledgling but high enough to keep the fledgling in. I put their fallen nest (if there is one), some kind of cover over the bottom so they don’t slide all over, and a small bowl of water in the pool. If the baby bird is vocal (and hope that it is), the parent birds respond to the “peeps” of the young bird and will almost always continue to care and feed them (If they do not, they may have kicked a cowbird or another species out of the nest or the fledgling may be sick…you have to trust their instincts at this point. I will address this later). Once the parents take over, KEEP YOUR DISTANCE. Watch from afar. Do not interfere. If you interfere too much, they may abandon the chick. Respect the parents and let them do their thing. I have an advantage in that my balcony sits above my oak woodland. I can keep an eye on things without interfering. (It is a fascinating and beautiful thing to observe, I must admit). At night, to prevent predation, I bring the baby bird inside, in a box or cage, and place it in a safe quiet ventilated room, say the bathroom with the window open. In the morning, I put the baby back out for the parents to care for. This has worked out beautifully when the baby bird is near fledging. One day, the fledgling bird just flies up to a tree and your part is done. Again, you have to be able to insure the bird is safe from predators (cats) during the day. It’s an option if you feel stuck and are not sure what to do with a nearly full-fledged bird. Again, you are not removing the bird from it parents or its home, the parents stay actively involved, and you help Mother Nature finish the job. This has to be your objective—NOT to turn the baby bird into a pet. Success! Pacific slope flycatcher. What had to be first-time parents built a nest in the rafters of my garage. I put a soft chair under the nest for their inevitable falling out of it. This is the last of three I helped the parents fledge. Eventually he/she worked his/her way to a higher branch and the parents took over full-time. A few years ago, I found a fledgling on the ground. I put it back in the nest and as I expected found it on the ground again. I used the baby pool and watched. Despite the peeps from the fledging, the parents did NOT respond. The bird died later in the day. I saw the wisdom of the parents in that I think they knew what they were doing in not responding. The may have kicked the chick out because it was not healthy. Now on to if the “Cat Solution” does not work after a day or two: call the nearest wildlife rehabilitation center and turn the fledgling into them to finish the process. If the bird can be released in the same area it was found in, this is ideal. Other things to consider: birds carry diseases, mites, etc. 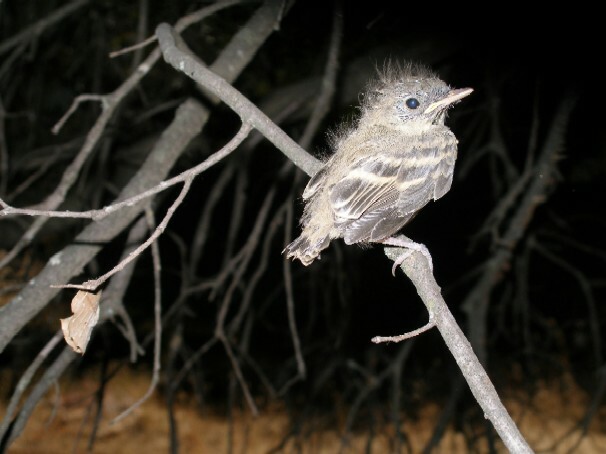 Minimize your contact with baby birds, again, unless you are a trained wildlife rehabber’ and know what you are doing. Again, the solution above is if you get stuck and is in the interest of the welfare of the parents and baby birds. It keeps the parents in charge, keeps the birds in their home/habitat, and is the least invasive of practices. If you find wildlife definitely in need of care, Western Nevada County has a Wildlife Rehabilitation Center. you can contact: Nevada County Wildlife Rehabilitation and Release This is mostly a volunteer organization so please keep this in mind. They are always looking for volunteers including folks that do not want to/cannot care for wildlife but can help in other ways, such as animal transport. If you cannot donate time, keep them in mind when considering worthy charities to donate to. I consider these folks the quiet heroes of our community and thank them dearly for what they do.